Smith Memorial Playground & Playhouse | Why Play? It is well known that many American children are overweight. What is less talked about, and less easily quantifiable, is that many American children are not developing the physical, emotional, social, behavioral and coping skills necessary to succeed in school and in life. Many children no longer know how to listen, concentrate, follow rules, empathize, share, take turns, get along with others or control their emotions. Lack of these skills can lead to academic failure, violent behavior, and social isolation. According to the American Academy of Pediatrics, the rising number of families with single-head households or two working parents, combined with the desire to raise successful children, has resulted in over-scheduled children with fewer opportunities to spend the quality family time necessary to build confidence and independence. For some children, this hurried and overly-structured lifestyle can become a source of stress and anxiety that may lead to depression. The American Academy of Pediatrics reports that children who have not had the opportunity for unstructured play lack basic skills, such as teamwork, generosity, determination, and compassion. Moreover, children who do not play with their parents lack solid role models and have difficulty building strong family bonds. These children are less likely to exhibit the self-confidence and the self-reliance that are gained through interacting with loving, nurturing parents. Childhood obesity is becoming an epidemic. According to the Stanford University School of Medicine, “If we fail to take action, this generation may be the first in American history to have a shorter life expectancy than that of their parents.” The Center for Disease Control reports that by 2000 the per cent rate of obesity had more than doubled for children ages 2-5 years and the number of children aged 6 to 11 who are obese had increased 54% since 1970. The Council on Fitness and Health identified the health risks associated with obesity as type 2 diabetes, hypertension, and high blood pressure, all risk factors in coronary artery disease – the leading cause of death in North America. The Council on Fitness and Health states that a major factor in childhood weight gain is the increasingly sedentary lifestyle of American children. A National Health and Nutrition Examination Survey found that 26% of American children watch at least four hours of television a day. Given the rising number of children entering adulthood with major physical problems, the cost of health care will undoubtedly increase. Government, scientific and public health agencies recommend that school-age children engage in at least 60 minutes a day of moderate to vigorous physical activity that is developmentally appropriate and enjoyable. Recognizing that physical activity 1) helps maintain a healthy weight and can reduce weight in obese children; 2) improves childhood physical health; 3) delays the onset of many chronic diseases; and 4) increases the likelihood of maintaining an active lifestyle as an adult, experts in the fields of child psychology, education, and health have undertaken a national campaign that emphasizes the importance of unstructured and active play for all of America’s children. 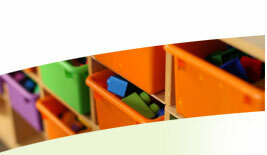 Studies done by Sara Smilansky found that children’s imaginative play is “supportive of social, intellectual and language development.” Preschools are beginning to recognize that an academic curriculum places young children at a disadvantage in future learning: a common by-product of a didactic preschool approach is the creation of anxiety in children, as well as the deterioration of self-esteem. Studies have found that play-based preschool programs are at least as supportive (if not more supportive) of academic achievement. In The Power of Play, David Elkind wrote that play-acting “becomes another way in which children further their understanding of rules.” Through playing games, children learn two important social skills – the socially acceptable forms of cooperation and competition. A study by Pollatschek and Hagen demonstrated that children who participate in daily physical activity show enhanced motion fitness, academic performance, and attitudes towards school as compared with their peers leading a more sedentary lifestyle. “Sharing, cooperation, problem-solving, conflict resolution and self-control – all skills necessary for successful living – are rehearsed and modified through daily intervals of unstructured play” (Jambor). Research on the brain demonstrates that play is a “scaffold for development, a vehicle for increasing neural structures” (Isenberg and Quisenberry). 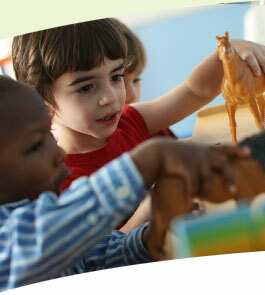 Play aids in language development, creativity, divergent thinking and memory. Finally, playing together helps build family relationships. According to the 2006 Clinical Report by the American Academy of Pediatrics, “children’s developmental trajectory is critically mediated by appropriate, affective relationships with loving and consistent caregivers as they relate to children through play. When parents observe their children in play or join with them in child-driven play, they are given a unique opportunity to see the world through their child’s vantage point… The interactions that occur through play … help build enduring relationships. Parents who have the opportunity to glimpse into their children’s world learn to communicate more effectively with their children,” and better serve as role models to teach the values necessary to be good citizens. Play used to be right outside every child’s front door, but today both urban and suburban neighborhoods, finding a safe public play space can be a challenge. Recent trends mean fewer opportunities for pure play: cars speed up and down streets; outdoor play spaces in inner city neighborhoods are typically fenced in, dirty, black-topped areas; and many people fear random violence in public spaces. Since many children can no longer safely play outside their homes and school recess is disappearing, it is up to caregivers to find safe and pleasant play venues for their children. However, finding safe venues in which to do so is becoming more difficult. The Stanford University School of Medicine report stated that there is less money for public parks, playgrounds and after school activities and many children are forced to play on the streets or stay inside. For inner city families, most safe play opportunities are only accessible by car and may be prohibitively expensive.